A must-do for thrill seekers! Make a splash as you brave through jumping off towering cliffs as high as 30 feet! Share the experience with new friends. 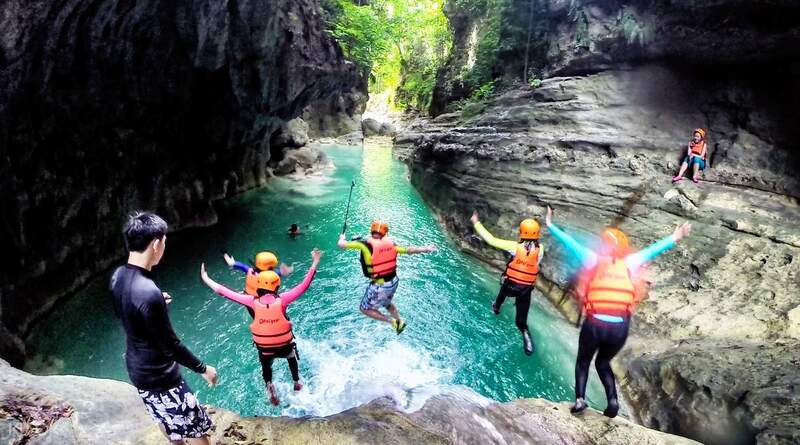 Join Klook's Badian Canyoneering Adventure and Kawasan Waterfalls Join In Day Tour! 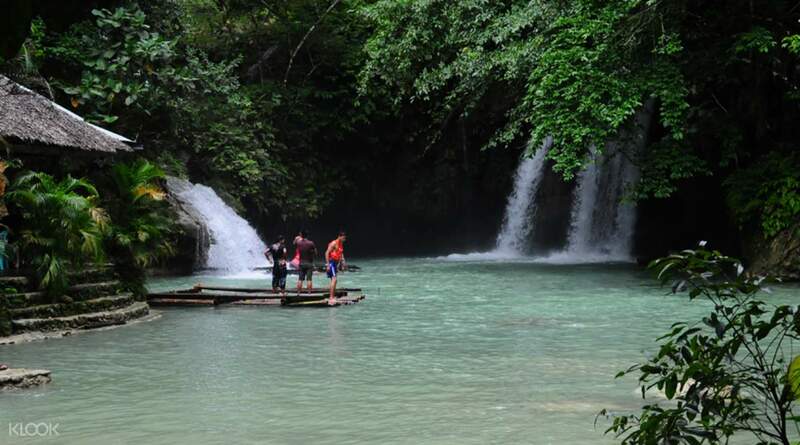 Check out the Oslob Whale Shark Snorkeling and Badian Canyoneering Adventure Tour to encounter Oslob whale sharks before you tackle your canyoneering activity! very nice experience. highly recommended for adventurous people. Leap off the cliffs and into the waters as you go canyoneering! 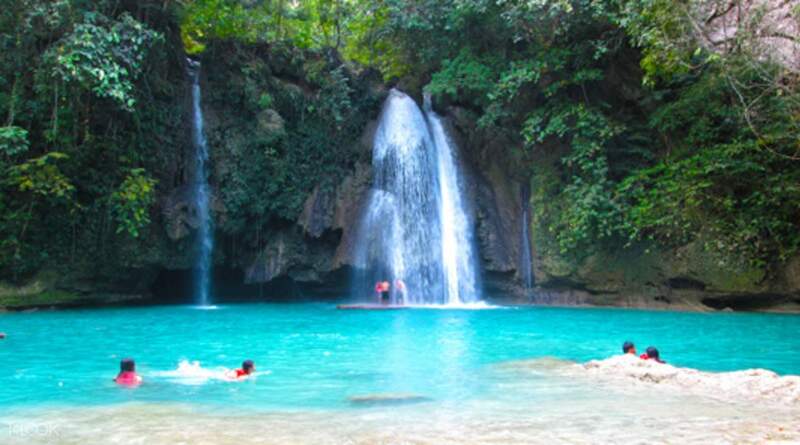 Want to see the Oslob whalesharks before your canyoneering adventure? 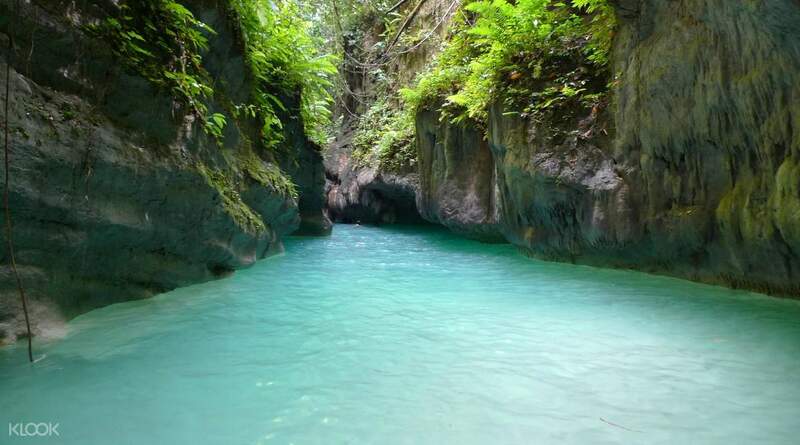 Book our Oslob Whale Shark Snorkeling and Badian Canyoneering Adventure Tour instead! Mcrich Cayoneering company was amazing! Overall the best tour I ever had in the history of tours and I been to over 10 European countries and 3 Asian countries. I am Filipino visiting from Germany. Kuya Richard, our tour guide, made sure we had a blast even taking the opportunity to take pictures for us and videos. Also everything came as a bundle from the hotel pick up or AirBNB, from the ride there, the tour Cayoneering, Kawasan falls and even provided lunch, can’t even ask for more! Will book again! Mcrich Cayoneering company was amazing! Overall the best tour I ever had in the history of tours and I been to over 10 European countries and 3 Asian countries. I am Filipino visiting from Germany. Kuya Richard, our tour guide, made sure we had a blast even taking the opportunity to take pictures for us and videos. Also everything came as a bundle from the hotel pick up or AirBNB, from the ride there, the tour Cayoneering, Kawasan falls and even provided lunch, can’t even ask for more! Will book again! Our guide (Jason) is very experienced (he has been doing this for 7 years) because of that we have wonderful memories, furthermore, it would be better if our driver, can drive more carefully. We were bit worried. Our guide (Jason) is very experienced (he has been doing this for 7 years) because of that we have wonderful memories, furthermore, it would be better if our driver, can drive more carefully. We were bit worried. The experience was awesome. Our driver Kuya Giovanni is so helpful and kind. Our tour guide for the Canyoneering Kuya Arnel is so informative and he keeps us safe throughout the trip. Great experience and highly recommended especially those guys that help us. Kudos and Shaka to you guys. The experience was awesome. Our driver Kuya Giovanni is so helpful and kind. Our tour guide for the Canyoneering Kuya Arnel is so informative and he keeps us safe throughout the trip. Great experience and highly recommended especially those guys that help us. Kudos and Shaka to you guys. This trip was awesome. Driver arrived at our hotel on time. Car was clean and comfortable. We've got pillows for more comfort. We had Jason as a guide. He was pleasant and helpful. Canyonerring is a really good fun. Highly recommend this trip. This trip was awesome. Driver arrived at our hotel on time. Car was clean and comfortable. We've got pillows for more comfort. We had Jason as a guide. He was pleasant and helpful. Canyonerring is a really good fun. Highly recommend this trip. We made a great choice when we book this activity. We choose private tour and it’s cery convenient. The hotel pickup and dropoff is something we truly appreciate, we are able to rest going to and from our hotel, especially after the canyoneering activity. Our tourguide Kuya Benjie is so helpful and he was able to capture all our activity highlights, including all the jumpoffs that we did. He became our personal photographer/videographer and a very much willing one. ☺️ I would recommend for everyone to do this activity in Cebu. Never miss this one! We made a great choice when we book this activity. We choose private tour and it’s cery convenient. The hotel pickup and dropoff is something we truly appreciate, we are able to rest going to and from our hotel, especially after the canyoneering activity. Our tourguide Kuya Benjie is so helpful and he was able to capture all our activity highlights, including all the jumpoffs that we did. He became our personal photographer/videographer and a very much willing one. ☺️ I would recommend for everyone to do this activity in Cebu. Never miss this one! Very fun! Although it took a long time to get to and from the hotel (mainly because our hotel was far), the adventure was heaps of fun. Very fun! Although it took a long time to get to and from the hotel (mainly because our hotel was far), the adventure was heaps of fun. Good fun, guide was engaging and day was pleasant. Overall a well worth experience. Good fun, guide was engaging and day was pleasant. Overall a well worth experience. Very smooth flow of itinerary and everyone is very polite and helpful. Our guide is the best "Junard" as he serves as our photographer and videographer as well. Highly recommended activity, tiring but very fun! Very smooth flow of itinerary and everyone is very polite and helpful. Our guide is the best "Junard" as he serves as our photographer and videographer as well. Highly recommended activity, tiring but very fun! Klook, just want to thank you for this wonderful experience and service that you provided. We encountered a little problem with our hotel reservation so we were able to advise our pick up location and drop off location a bit late already but despite of it, Klook was very flexible and understanding about it and still managed to take note of the changes. The driver who picked us up, Kuya Albert was on time, very courteous and friendly. When we reached Mcrich Canyoneering base, we were warmly greeted by the tour guides. They all have sense of humor which I think was very helpful to begin the activity light and less frightening. Our tour guide, Kuya Benjie Saldoa is worth the mention. He is an amazing tour guide and he has very impressive photography skills. What we like about him is that he just takes his time for us to enjoy, so it took us five hours to finish the whole activity. We weren't rushing. He adjusted to our own pace, most especially he assisted me all the way (because I really have no balance and coordination haha! It's actually my first time to trek, climb, jump and do all sorts of activities. I was a complete beginner.) He kept on taking wonderful photos and videos of us. He knew the spots so we had a lot of excellent shots with scenic backgrounds. He was also concerned with our safety, asking us from time to time if we were alright, especially me when I wasn't able to do the proper way of jumping. Booking with Klook is very highly recommended. I never thought that I would be able to do this activity but with the help of our tour guide, I was able to survive! An exhilarating and fun experience! Klook, just want to thank you for this wonderful experience and service that you provided. We encountered a little problem with our hotel reservation so we were able to advise our pick up location and drop off location a bit late already but despite of it, Klook was very flexible and understanding about it and still managed to take note of the changes. The driver who picked us up, Kuya Albert was on time, very courteous and friendly. When we reached Mcrich Canyoneering base, we were warmly greeted by the tour guides. They all have sense of humor which I think was very helpful to begin the activity light and less frightening. Our tour guide, Kuya Benjie Saldoa is worth the mention. He is an amazing tour guide and he has very impressive photography skills. What we like about him is that he just takes his time for us to enjoy, so it took us five hours to finish the whole activity. We weren't rushing. He adjusted to our own pace, most especially he assisted me all the way (because I really have no balance and coordination haha! It's actually my first time to trek, climb, jump and do all sorts of activities. I was a complete beginner.) He kept on taking wonderful photos and videos of us. He knew the spots so we had a lot of excellent shots with scenic backgrounds. He was also concerned with our safety, asking us from time to time if we were alright, especially me when I wasn't able to do the proper way of jumping. Booking with Klook is very highly recommended. I never thought that I would be able to do this activity but with the help of our tour guide, I was able to survive! An exhilarating and fun experience! the tour lasted about 4 hours. both guides were fantastic, quick to help and guided us throughout the journey. their photography is also top notch! capturing all the essence of the tour and group of us. we highly recommend this tour for anybody up for an adventure! the tour lasted about 4 hours. both guides were fantastic, quick to help and guided us throughout the journey. their photography is also top notch! capturing all the essence of the tour and group of us. we highly recommend this tour for anybody up for an adventure!